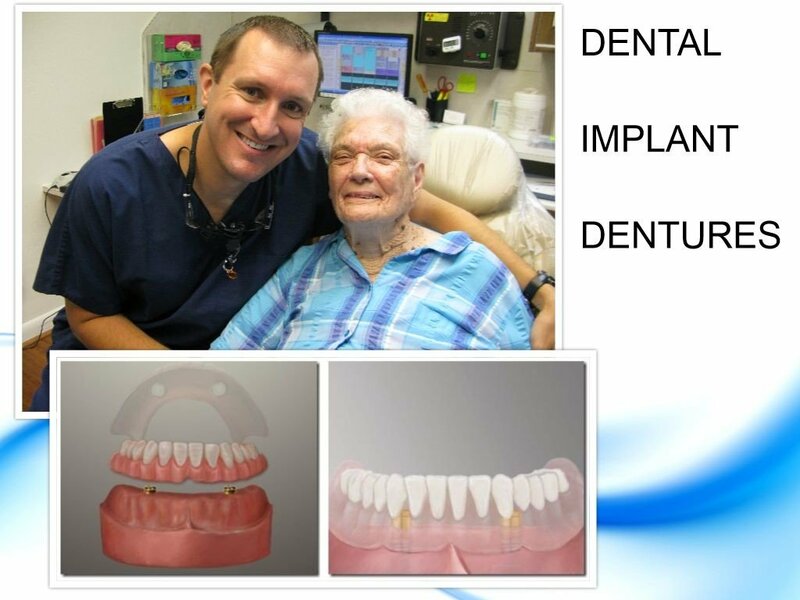 Dental implants can be used to stable a denture and improve function. The most common method used is by using Locator Attachments. 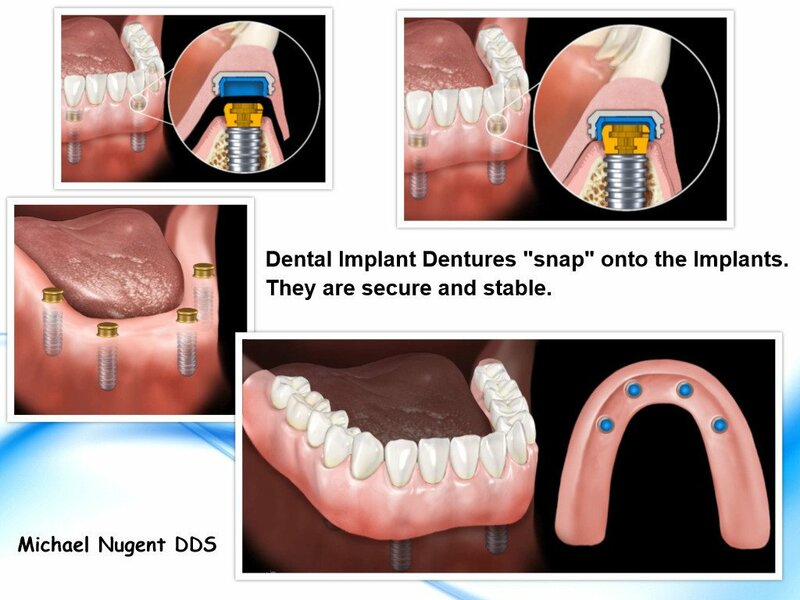 The attachments (male ends are screwed into the implants and the nylon attachments (female end) are inserted into the denture. The nylon fasteners are easily switched out for different fasteners to provide different retention forces.